At a crucial point midway through his career, American painter and printmaker Jasper Johns (b. 1930) looked to the art of Norwegian Expressionist Edvard Munch (1863–1944) for inspiration. Munch’s innovative working methods and defining themes of love, anxiety, illness, and death infused Johns’s work with new meaning, allowing him a broadened range of expression that propelled his return to recognizable imagery after a decade of abstraction. 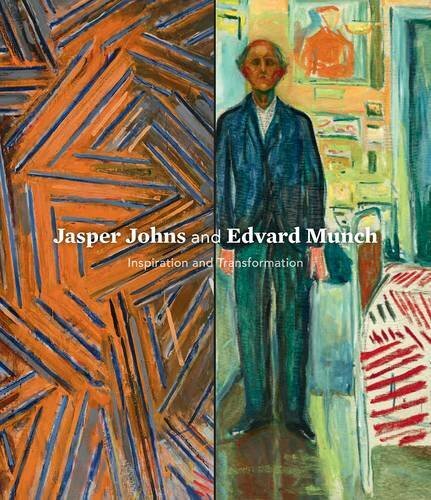 This groundbreaking publication is the first to describe precisely how and when Johns began to explore Munch’s imagery and ideas. At the same time, it takes a comprehensive view of each artist’s career, giving readers a deeper understanding of Johns’s connection to his predecessor. Through new scholarship and copious illustration, Ravenal makes the persuasive case that Munch should be considered one of the catalysts for the sea change that occurred in Johns’s art of the early 1980s.